Published on 16. May 2018. 0 Comments Tags: car, habits, health, life, safety. Today during my morning commute, the car in front of me hit another car and got flipped on its side. 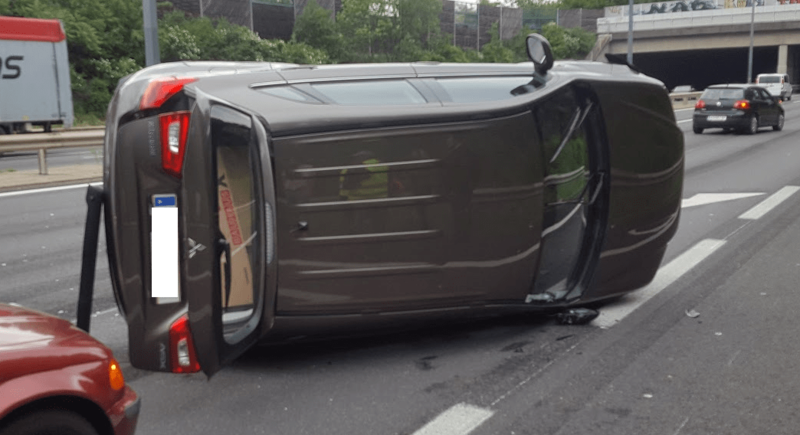 Luckily it was at low speed so it didn’t turn into a huge accident, but it could have been even less if the driver had used her seat belt. Let me clarify: this woman was driving on the highway, in heavy traffic, and she was not wearing a seat belt. Not a smart idea! 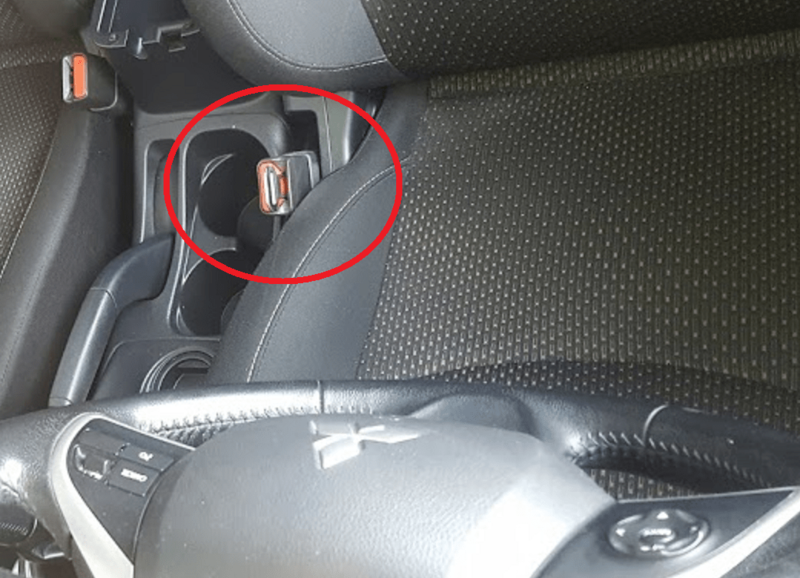 In fact, she had stuck something into the buckle to fool the car so it wouldn’t beep while driving. I guess she rigged that up because she never wears a seat belt. During the collision, I saw her car flip onto the right-hand side and skid along the road until it stopped. Traffic stopped on all lanes and I was the first person to reach her car. I looked down through the driver-side side window and saw her sitting way down there on the right side window, all huddled up, not visibly injured but totally disoriented. Other drivers were getting out of their cars and I took charge, making one call the police (who in turn called an ambulance and the fire department), getting them to help me get the woman out of the car and to the side of the road, and checking on the driver of the other car (she was shaken but okay). 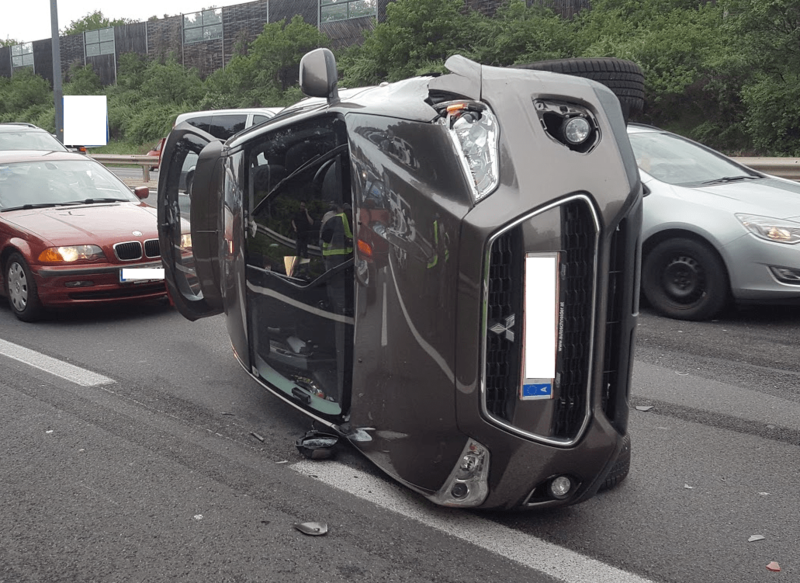 By chance, a medic happened to arrive and he took over treating the woman of the flipped car until the ambulance arrived, applying a neck brace, checking vital stats, and so on. The police was faster than the ambulance. As a witness, I couldn’t leave until another police unit arrived and took my statement. In all, I spent an hour and a half on the side of the highway until everything was sorted out. The fire department towed the two cars away, and the ambulance took the first driver to a hospital. The police told me she had no serious injuries. With surprise I noticed that my copy of the witness statement was titled “fahrlässige Körperverletzung im Straßenverkehr” which translates to “negligent bodily injury in traffic.” I’m not sure what that signifies but I damn well hope the woman has learned her lesson. Please, people: wear a seat belt! And be careful when you operate heavy machinery, like a car. It’s not a game. How large is the broad side of a barn, anyway?